Introducing the all-new VIZIO E-SeriesTM 43" Class (42.51" diag.) Ultra HD Home Theater Display with Chromecast built-in. Part of the VIZIO SmartCast collection, every E-Series features Chromecast built-in, the easiest way to stream the entertainment you love from your phone or tablet to your E-Series display. Simply tap the Cast button in popular mobile apps you have on your phone like Netflix, Hulu, and HBO Now to stream your entertainment on the big screen*. And with E-Series, your phone is your remote - download the VIZIO SmartCast app and use your phone to power on your display, adjust the volume, switch inputs, play and control streaming content and much more - all from any room in your home with any iOS or Android device in your home*. 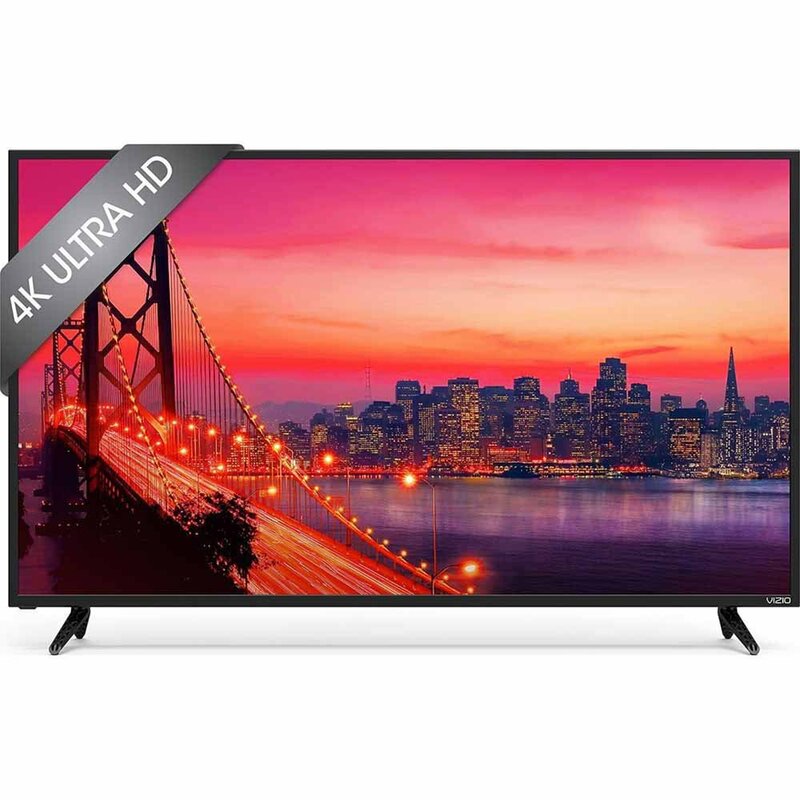 With 4K Ultra HD resolution for incredibly sharp detail that's 4x the resolution of 1080p Full HD, the E-Series collection also features a powerful full array LED backlight with 10 Active LED Zones for superior picture performance and a vibrant contrast. The all-new VIZIO SmartCast E-Series: what you love won't change, but how you experience it will never be the same again. *Works with Chromecast-enabled apps on Android 4.1+ smartphones and tablets; iOS 7.0+ iPhone , iPad , and iPod . Subscriptions may be required to access certain content. If you use an external antenna to watch local over-the-air broadcast TV signals, a TV tuner is required (sold separately).